A large government agency with 250,000 users across its Windows and Unix/Linux environments found that each individual IT-assisted access management activity cost more than $300. Annually, this cost is staggering. 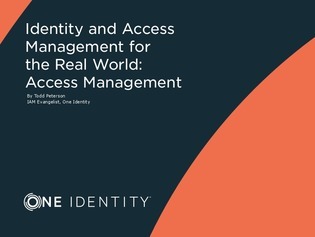 Access this white paper to learn how to advance your access management approach with real-world examples from organizations.